Advanced Stone Restoration takes pride in beautifying your natural stone. We are a locally owned and operated company in Hawaii and have been in the restoration & cleaning business since 1991. 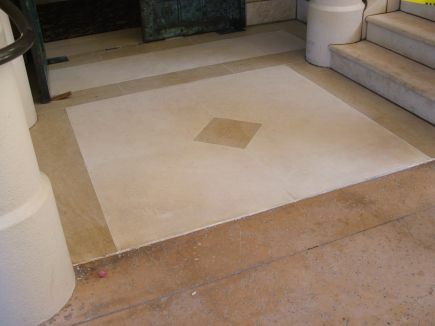 We specialize in marble polishing, travertine & limestone restoration, and granite repair. 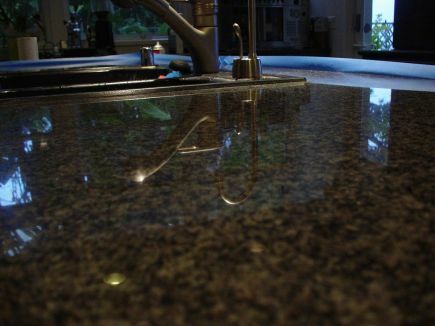 We are proud to offer granite chip repair and crack repair on all natural stone in addition to maintaining and restoring your natural stone surfaces, so that they look as beautiful as intended on the day of installation. Scratch & Etch Free - Nice & Shiny! Advanced Stone Restoration can restore the polish on your marble. Read about the proper way of resurfacing and polishing marble. We repair, resurface, refinish, restore all natural stone surfaces. Is your limestone dirty and dull? Want to change the finish from honed to polished or vice-versa? Advanced Stone Restoration can help. We can resurface your stone to the finish you desire. 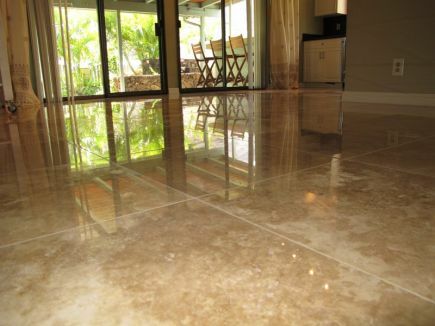 Did you know that your travertine can be polished to a high shine like marble? No Dust, No wax, No Topical coating. The Do's and Don'ts when getting your granite polished. 01 Marble Floor Polishing Scratch & Etch Free - Nice & Shiny! 02 Limestone Restoration We repair, resurface, refinish, restore all natural stone surfaces. 03 Travertine Polishing We can resurface your stone to the finish you desire. 04 Granite Polishing No Dust, No wax, No Topical coating. We do not sell or install. We are dedicated solely to the restoration and preservation of natural stone. Whether it's granite, marble, slate, onyx, quartzite, travertine, limestone or terrazzo, our technicians use the finest abrasives and the most advanced methods of resurfacing to restore your natural stone to its best possible finish. We can grind, hone, polish, or anything in between. We can help you increase the value of your residential or commercial investments. Many service companies out there offer a cheap and "quick fix" using crystallization methods or a topical coating. The results leave the stone damaged, discolored, or dull after a short period of time. 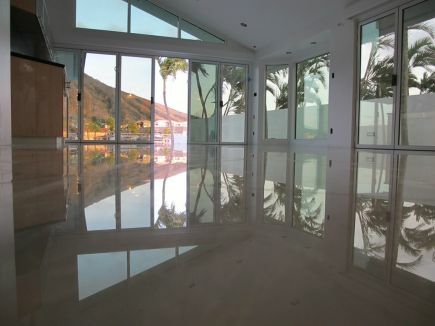 This leaves you, the homeowner or contractor having to go through the process repeatedly to maintain the shine. No dust, No wax, No crystallizer. No topical coating or any other coating. This is our mission statement and that's what separates us from the competition. Our specialists use the finest abrasives and craftsmanship to repair and polish your Marble, Granite, Limestone, Travertine, and Terrazzo back to its factory finish. Our skilled professionals restore any and all stone applications. We strive to give our clients their desired results, ranging from hone to high polish. We can eliminate uneven surfaces, and visible seams. From diamond abrasives to adhesives to stone specific sealers, rest assured that Advanced Stone uses only the best products on the market to get your job done professionally, and efficiently. We take pride in the quality of our craft and in being able to offer customers the benefits of our experience in this highly specialized field along with service that is second to none. Commercial, Residential, and Subcontracting accounts are welcome. Thank you for visiting our website, and please visit out gallery to view some of our work. For more information, please call us at (808) 292-1266. Your natural stone care solution.